Our Economy Series Primary Beer Regulator for Home Draft Dispense is easy to use and easy to maintain. The T-Handle Set Screw adjustment makes it a quick to adjust "set and forget" tool for maintaining constant pressure into your system. The regulator's brass body and zinc bonnet make it corrosion resistant and highly durable in a number of environments. 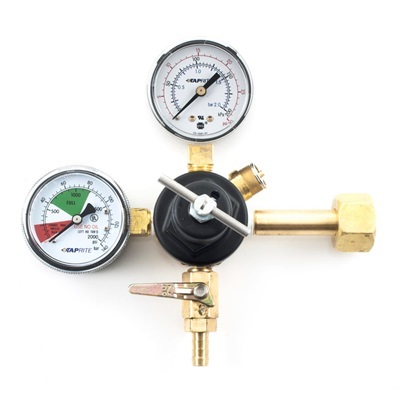 This 1 Pressure 1 Product Regulator has a CGA320 Inlet and 5/16"Barb Shutoff w/Check. 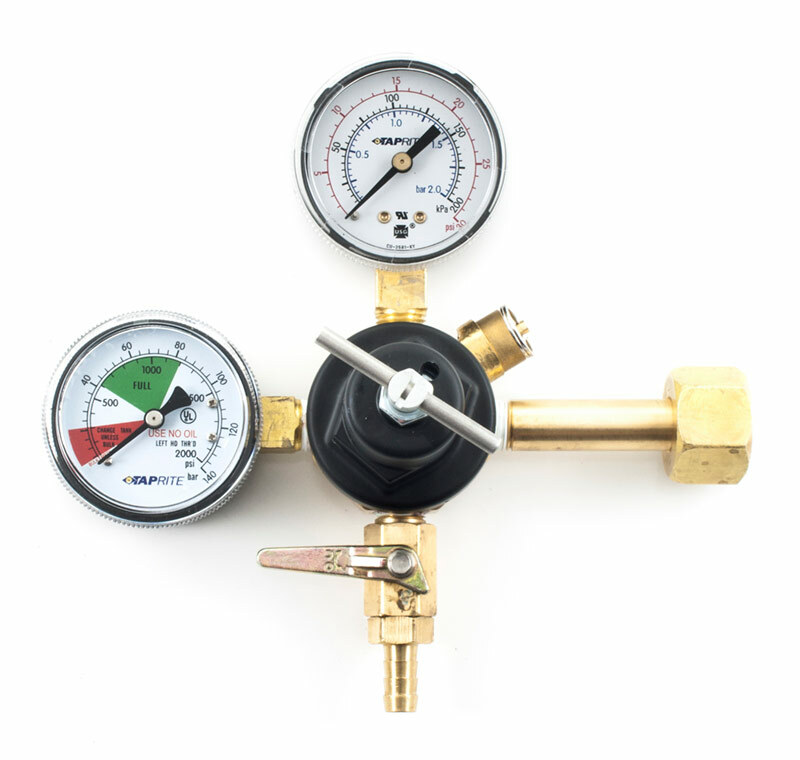 The 30lb Output Gauge provides increased accuracy for dispensing in the 10-20psi range, and the 2000lb Gauge lets you keep track of how much CO2 is left in your tank. The Manual Pressure Relief Valve makes tank changeouts a breeze and minimizes your chances for foamy pours.